This one is going to be a little shorter than usual, but there's really only one thing you need to know: Caffe Carnevale has some of the best hot dogs in town! This is one of those times where I'm torn. 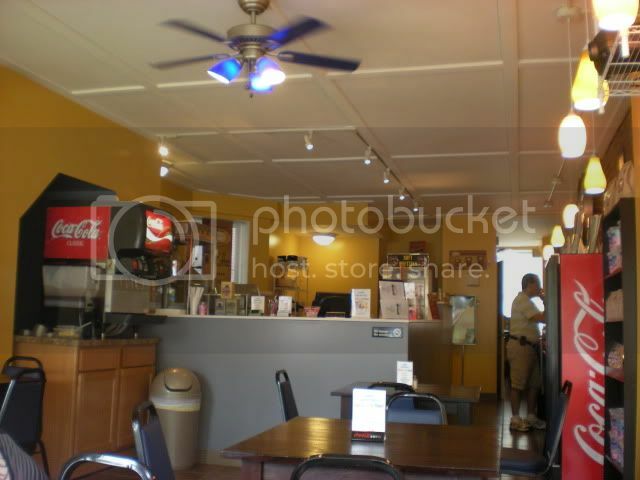 The owner is awesome, the food is delicious, the cafe itself is cute and has a great comfy vibe. I can totally see this being my new weekend lunch spot. The question is, do I want to share it? Well of course I do, that's what this blog is all about. I love telling people about things they haven't discovered on their own. Just make sure you leave me a table on Saturday afternoons, ok? Check out this amazing "American Dog". Bacon, tomato, cheese, on a jumbo beef dog. I don't think I can make a habit of bacon and hot dog, but you know I go the culinary distance for CC&G. It was worth every calorie. 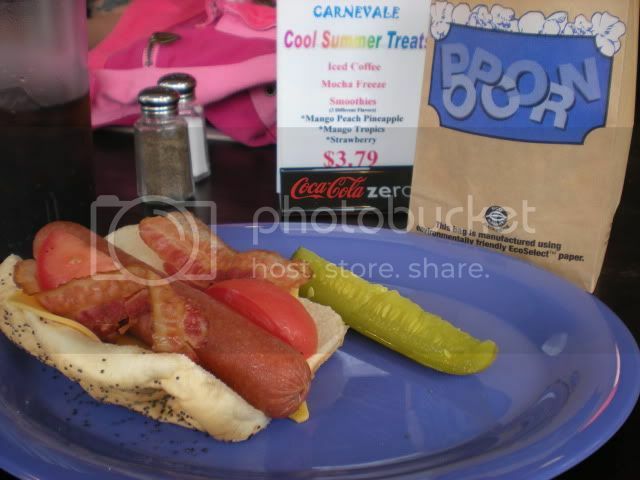 There are over 20 different hot dogs on the menu, and if you include the "Up 2 U" build your own dog, the options are endless! 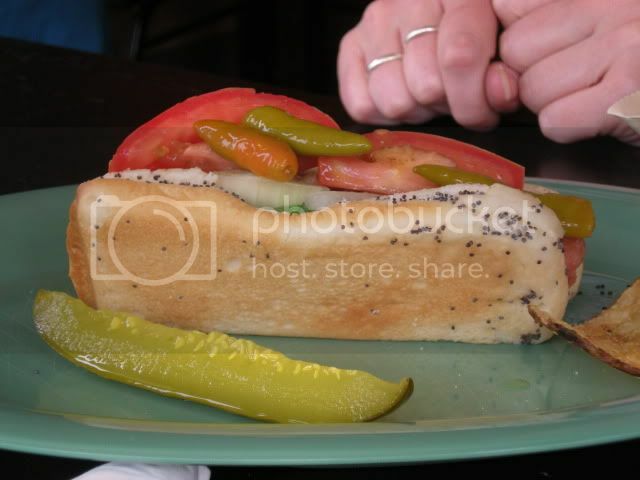 Amy got the Chicago Dog, which she rated as "delicious". 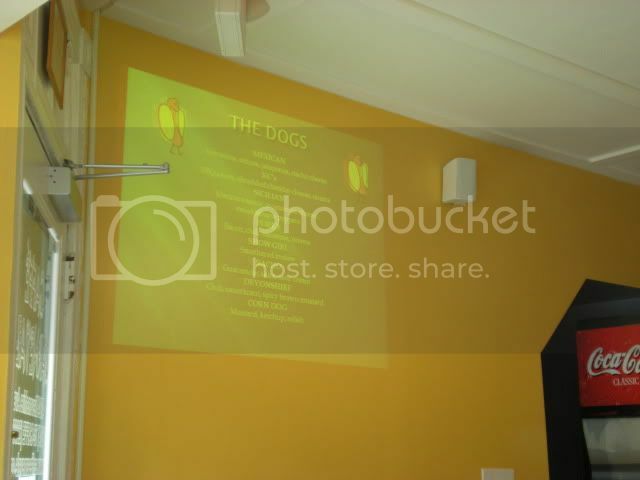 The menu on the website is actually the new menu being rolled out on Tuesday, and Jay managed to get a sneak preview of the Spicy Peanut Dog, which is near the top of my list of dogs to try in the near future. The best part is, you can get any of these with a beef, turkey, or VEGGIE hot dog, so it's a win for everyone! 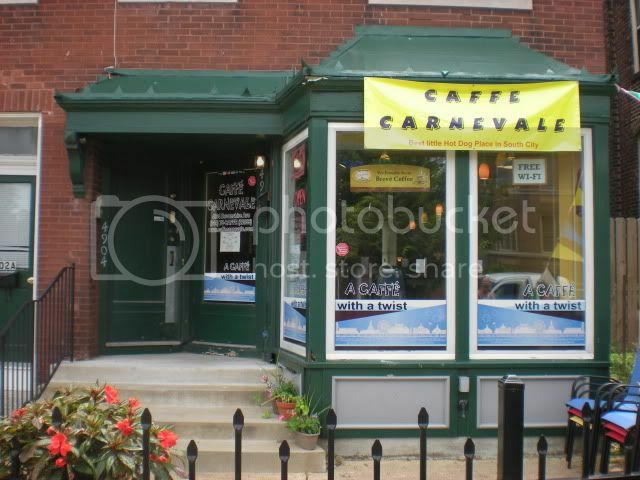 Caffe Carnivale is located at 4904 Devonshire Avenue in St Louis, near the corner of Kingshighway and Devonshire (next to Lily's). The hot dogs are worth a visit all by themselves, but they also have a couple sandwiches, popcorn, Billy Goat Chips (if you haven't tried these yet, you need to), Gus's Pretzels, cotton candy, and specialty beverages. They also have a dog friendly outdoor patio and free wifi! I'm in love!